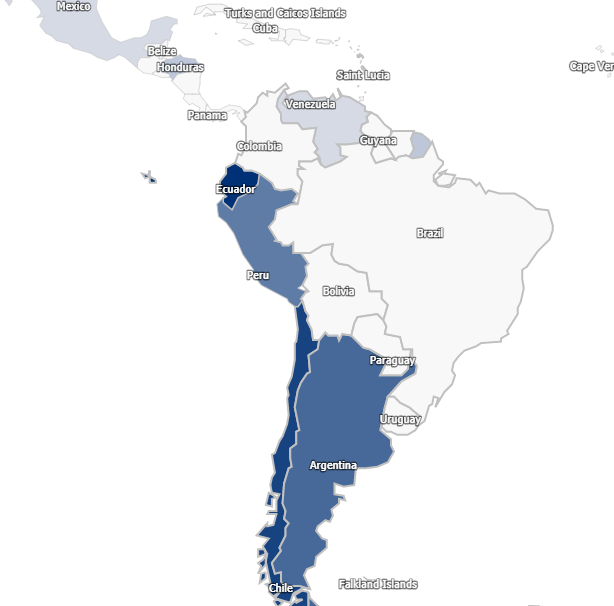 Does the average Ecuadorian have Peruvian ancestry? Just wondering if they do. I have some, but my dad doesn't seem to have them. At least based on 23andme DNA matches. No, why would the average Ecuadorian have Peruvian ancestry? Last edited by shadow; 2016-09-04 at 01:32. To begin with such ethnicity as Peruvian doesn't exist. there are loads of different Native tribes and descendants of Spanish, African, Native mixes like everywhere in Latin America. Nationality won't change anyone's dna. Just wondering if they do. Of course they do, both Peru and Ecuador used to be parts of the Inca Empire in the past. Interestingly your surname exists in Peru but not in Colombia. According to forebears.io site. You wrote somewhere that you don't have any matches from Colombia.